Welcome to the April 16, 2018 edition of ACM TechNews, providing timely information for IT professionals three times a week. Researchers from Russia, the U.K., and Germany have unveiled a quantum bit (qubit) architecture employing nano-wires fashioned from superconductors, and demonstrated that their qubits are on about equal footing with conventional qubits built on Josephson junctions. The team based its qubit on the quantum phase slip effect, or controlled periodic failure and recovery of superconductivity in nano-wires that in their normal state have fairly large resistance. The researchers say the interference in their superconducting device is induced by an electric field and not a magnetic field, which changes the electric charge on the island between two nano-wires. These wires function like Josephson junctions, require no interruption, and can be produced from one superconductor layer. 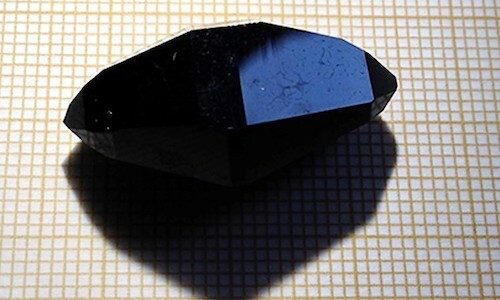 "The obtained device is an electric meter and measures the charge on the island of the superconductor with a margin of error thousands of times less than an electron charge," says Alexey Ustinov of Russia’s National University of Science and Technology. University of Manchester researcher Alex Chow has created software for using computer game technology for complex scientific and engineering simulations. Graphic processing units (GPUs), chips used in gaming to create ultrafast gameplay and realistic visuals, have emerged as a way to accelerate scientific simulations, running some applications over 100 times faster than conventional computers. Chow is developing simulations of "violent fluid flows," including ocean waves crashing against offshore wind turbines, to predict potential impact forces of ocean waves on those structures. Such simulations are usually done on a supercomputer, but GPUs are much cheaper, more energy efficient, and sometimes compact enough to fit in a laptop. Chow developed software from the open-source "DualSPHysics" for the scientific simulation method "Incompressible smoothed particle hydrodynamics (ISPH)" to run on a GPU for simulating complex water flows. Chow's code can compute millions of data points on a single device for real 3D engineering applications. Researchers at Fudan University in China have created a new gate design for transistors using two-dimensional (2D) materials, in a development that could bridge the gap between volatile and non-volatile memory. The new "quasi-non-volatile" device offers the benefits of static random access memory (SRAM) and dynamic random access memory (DRAM), while aiming to improve DRAM's limited data retention ability and need to be frequently refreshed, as well as SRAM's high cost. The team used a gate design that has been gaining popularity called semi-floating gate (SFG) memory technology, which is similar to a typical field effect transistor except that SFG transistor can "remember" the applied voltage from the gate. The team's 2D SFG memory has a refresh time 156 times longer than DRAM, and provides writing operation performance approximately 106 times faster than other memories based on 2D materials. An improved method for audio analysis machines makes use of visual representations of audio and convolutional neural networks (CNNs). 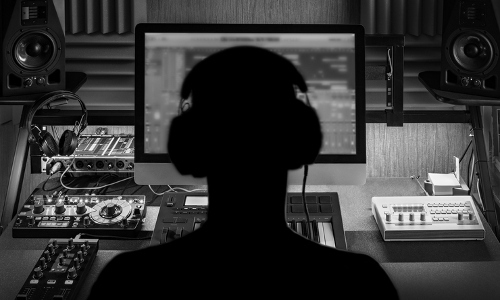 By using visual images to analyze audio, the method, developed by researchers at the University of Augsburg in Germany, is able to better identify and classify sound. The method uses a combination of spectrograms, which provide a visual representation of audio scenes with a fixed time-frequency resolution, and scalograms, which offer a more detailed visual representation of acoustic scenes. The researchers say scalograms can help spectrograms extract features for acoustic scene classification. Both spectrograms and scalograms need to be able to learn to continue improving, requiring the use of neural networks. CNNs are partly trained before they are applied to a scene, but they learn primarily from exposure. 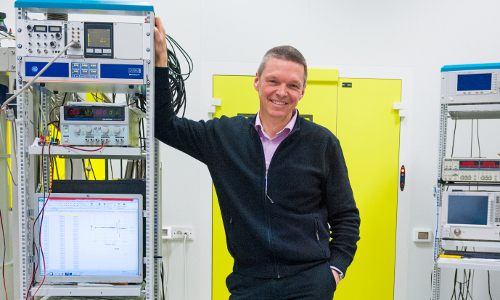 "The ultimate goal is machine hearing/listening in a holistic fashion...across speech, music, and sound just like a human being would," says University of Augsburg professor Björn Schuller. The combined efforts of researchers at the Massachusetts Institute of Technology (MIT) and the Catholic University of Brasilia has resulted in the development of a streamlined approach to developing antimicrobial peptide drugs, using a computer algorithm that mimics natural evolution. "This computational approach is much more cost-effective and much more time-effective" than previous methods, says MIT's Cesar de la Fuente-Nunez. 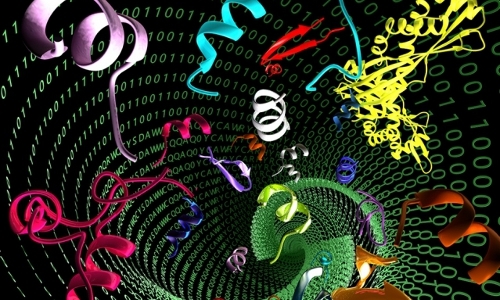 The algorithm can begin with any peptide sequence, generate scores of variants, and test them for specified traits. "By using this approach, we were able to explore many, many more peptides than if we had done this manually," notes de la Fuente-Nunez. "Then we only had to screen a tiny fraction of the entirety of the sequences that the computer was able to browse through." The researchers want to use this method to further develop a drug for potential human use following promising results in mice, and plan to use their algorithm to find other effective antimicrobial peptides. Researchers at the San Francisco-based Gladstone Institutes are studying whether computers can be trained to identify structures in unstained cells. They used deep learning to train a computer program to analyze brain cells by showing it stained and unstained images, and then they tested the system with new, unlabeled images. Following the first round of training, the program was able to identify where cells were located in the culture dish by learning to spot a cell's nucleus. In subsequent experiments, the team increased the complexity of the features the program was looking for, and successfully trained it to distinguish dead cells for living cells, as well as to identify specific types of brain cells. "Now that we showed that this technology works, we can start using it in disease research," says Gladstone’s Steven Finkbeiner. "Deep learning may spot something in cells that could help predict clinical outcomes and can help us screen potential treatments." Washington University in St. Louis researchers have developed a simulation to guide farmers on soybean-planting strategies, using a 2008-2014 dataset. The researchers inputted seed, weather, and soil/farm data from a vast stretch of the Midwest into the SimSoy model. "The machine-learning-based simulation allows us to make predictions of how each of the 182 seed varieties would perform under various weather conditions in a target farm--the place where those seeds have not been grown before," says Washington University professor Lingxiu Dong. Via descriptive analytics, predictive analytics, and prescriptive analytics, the researchers converted SimSoy into a 27-question form covering factors such as latitude, longitude, area, soybean varieties, irrigation, soil types and depths, acreage, and yields. The model then essentially generates a five-line answer for each seed variety that its analytics predict for each grower. "We are using analytics telling us what should be the right proportion of these different varieties," notes Washington University's Durai Sundaramoorthi. University of Washington researchers, working with colleagues at the Allen Institute for Artificial Intelligence (AI), have trained an AI system to respond like a dog using data from an actual animal. 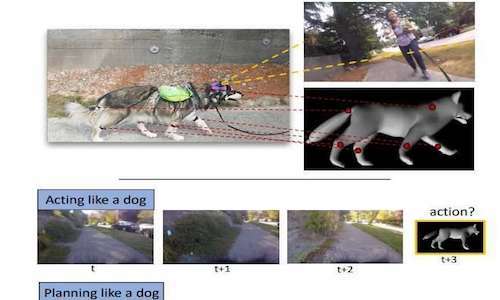 To capture that data, a real dog was initially equipped with several sensors, including a GoPro, a microphone, inertia sensors, and an Arduino unit. In total, the team collected 24,500 frames of video, which were synchronized with body movements and sound. The researchers then used 21,000 of those frames to train the AI system and the rest to test it. 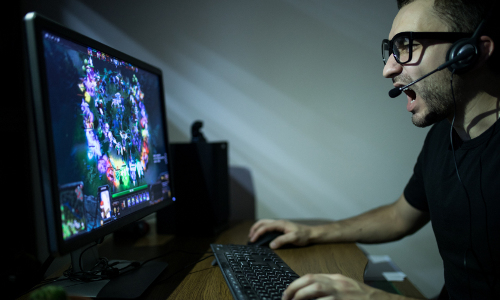 The researchers found the system outperformed baselines on tasks they deemed challenging. Although the AI system was not connected to a robotic dog, the team wants to take the research in that direction in the future. The results of a study by University of New Hampshire (UNH) researchers suggest the use of an easily produced combination of materials could potentially offer a more stable environment for smaller and safer data storage, eventually leading to miniature computers. They propose integrating Fe monolayers grown atop an X nitride substrate to enable more stable perpendicular magnetic anisotropy (PMA) energy. This mixture exhibits a 50-fold increase in PMA, permitting the storage of more data in smaller environments. "There is a huge movement to switch to magnetic random-access memory [MRAM] for storage in computers because it is more stable," says UNH professor Jiadong Zang. "Not only is data storage safer, but there is also less radiation emitted from the device. Our calculations and material combination opens the door to possibilities for much smaller computers for everything from basic data storage to traveling on space missions." University of California, Berkeley (UC Berkeley) researchers collaborated with scientists at Lawrence Berkeley and Argonne national laboratories, the Massachusetts Institute of Technology, and the University of Calfornia, Santa Cruz, to help build cathodes without cobalt that provide 50-percent-higher lithium-storage capacity than conventional materials, opening the possibility for better batteries that do not rely on cobalt. Four years ago, researchers at UC Berkeley determined how cathodes can maintain a high energy density without cobalt layers, and they more recently showed how manganese can be applied to this concept. The researchers used fluorine doping to incorporate a large amount of manganese into the cathode, and more manganese ions coupled with the right charge lets the cathodes store more lithium ions, boosting battery capacity. The team found the disordered manganese cathodes delivered nearly 1,000 watt-hours per kilogram, while typical lithium-ion cathodes yield about 500-700 watt-hours per kilogram. 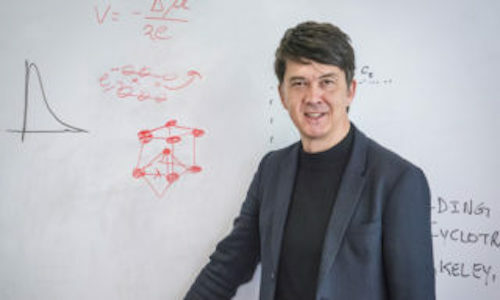 "You can pretty much use any element in the periodic table now because we've shown that cathodes don't have to be layered," notes UC Berkeley professor Gerbrand Ceder. 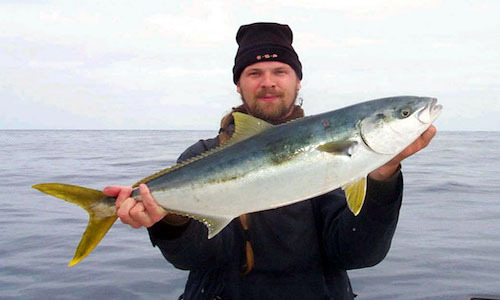 Researchers from the U.S. National Marine Fisheries Service, Iowa State University, and Mexico's National Polytechnic Institute have for the first time assembled an annotated genome of the California Yellowtail, using the eXtreme Science and Engineering Discovery Environment (XSEDE). The genomic assembly was initially computed at the Pittsburgh Supercomputing Center on the Blacklight system, says Iowa State University's Andrew Severin. He also notes XSEDE's Stampede supercomputer at the Texas Advanced Computing Center was used "to do the annotation of these gene models that we identified in the genome to try and figure out what their functions are. That required us to perform an analysis called the Basic Local Alignment Search Tool [BLAST], and it required us to use many [central-processing units], over a year's worth of compute time that we ended up doing within a couple of week's worth of actual time because of the many nodes that were on Stampede." Scientists at Hiroshima University in Japan have created chiral crystals using logistic regression analysis, the same technology at the core of facial recognition. Chirality refers to the quality of having a mirror image to another object, but without the ability to superimpose it. In chemistry, two molecules can have the same makeup of elements, but with different geometry. The researchers studied 686 chiral crystals and 1,000 achiral crystals from the Inorganic Crystal Structure Database. Using logistic regression, the team designed a model to demonstrate the best way to design chiral crystals. The scientists determined which chemical groups have elements more likely to coexist in a chiral crystal. "We can train our model to detect chiral and non-chiral possibilities. In this case, though, the input is not an image. It is information," says Hiroshima University researcher Eri Shimono.